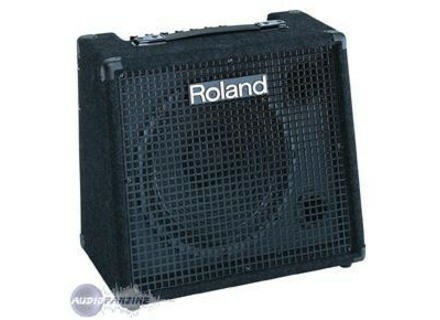 KC-100, Keyboard Amplifier from Roland in the KC series. 100W amplifier transistors <br><br>Connections: <br>- A joint between Jack / XLR <br>- 3 between Jack <br>- Jack mono line out 1 <br><br>Rglages: <br>- Volume for each between <br>- Gnral EQ (bass / treble) <br><br>No effects <br><br>Just missing my gut between an RCA to connect a CD player for example. We can not do much more simple. The eq is efficient (it deals with all inputs so it's limit but hey, we can not have everything). I have used with several keyboards, guitar Electroacoustic and even a bass, and the sound is really good, not breathing, clear rev. 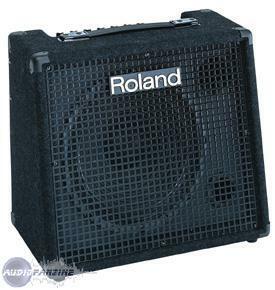 It's a versatile amp trs: I use it at home (when I'm sick of work with headphones, even low volume sounds) in a small concert sound system replaces a mini gr to the 4 inputs, and as it scne return of hell (even if it does not pan shot. I have a year and I use it all the time, under conditions trs varies. I like this ct "sono compact and ultra-simple", a Swiss army knife that can be used at all. 150 bought on e-bay, I had not tried others but I do not regret.